COBRA is a very cool name for health insurance. Much cooler than the Bronze or Silver packages most insurance companies offer. If you were to pick a health insurance plan based solely on its name, COBRA would by my first choice. But what is it? 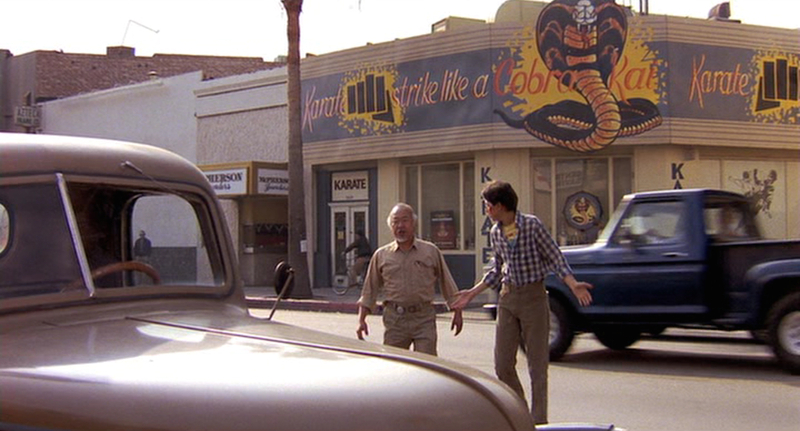 Health insurance for the Cobra Kai dojo? Insurance against snake bites? No, COBRA is actually an acronym that stands for the Consolidated Omnibus Budget Reconciliation Act (COBRA). The Consolidated Omnibus Budget Reconciliation Act is an amendment of the Employee Retirement Income Security Act. The Internal Revenue Code and Public Health Service Act mandate that group health plans offer a limited time continuation plan for those that leave their job. COBRA health insurance is special health insurance that’s offered to employees and their families in the event their employer’s group health coverage is no longer available to them. In other words, if you leave your job, you don’t have to lose your health insurance. COBRA is continuation health insurance that covers your family with the same health coverage you had when you were employed. The cost of the insurance is much higher than you were previously paying due to the fact your employer is no longer pitching in to subsidize your premium. COBRA is not meant to be a long-term solution for your health insurance. The maximum amount of time you’re eligible to be on a COBRA plan is 18 months. In some cases, you could be eligible for 36 months of coverage. Check with our COBRA provider (made available by your employer) to see what your options are. Losing your job is not the only way to become eligible for COBRA health insurance. If you have health insurance due to the fact you work a particular number of hours a week and your hours get cut, then you could become eligible. The spouse or dependent child can become eligible for COBRA in the event of death, covered employee qualifying for Medicare, or a divorce/legal separation. If you’ve ever lost your job and been offered COBRA health insurance, you’ll know that the price of COBRA can be quite surprising. It’s quite expensive, but sometimes it’s a price you have to pay if you really need health insurance. But thanks to the Affordable Care Act, it’s no longer your default choice. Alternatives to COBRA Health Insurance? As we have written about before, there is a special exception within the Affordable Care Act that allows for enrollment after the open enrollment period. According to the ACA, there are certain life circumstances that trigger a Special Enrollment period where individuals can purchase a new health plan. The loss of employment is one of those life events. In a pre-Affordable Care Act world, COBRA was a lifesaver, even if it was expensive. Losing your job didn’t mean you had to worry about your family’s health insurance while you were looking for another job. However the appeal of COBRA has deteriorated with the increased options from the Affordable Care Act. Nevertheless, it’s a good option to have available in a time of transition.